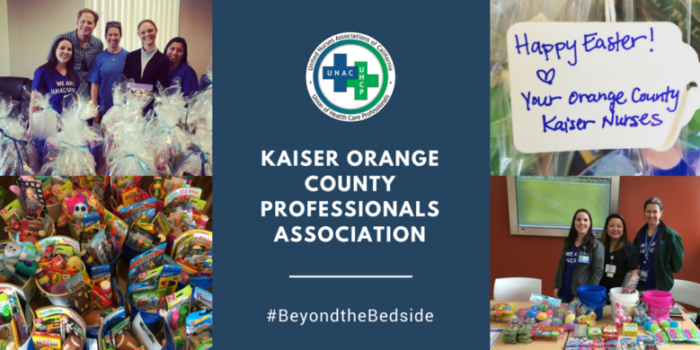 Kaiser Orange County Professionals Association (KOCPA) held a donation drive to assist victims of domestic violence in Orange County. With members’ generous donations and efforts, KOCPA was able to create Easter baskets for the children of Laura’s House. Since 1994, Laura’s House has provided shelter and supportive services to more than 4,000 abused women and children and counseling, life skills education and legal assistance to over 50,000 persons. Thanks to all who donated, put the finishing touches on, and delivered the baskets to Laura’s House.